I hate to start my first blog in a new city with such a morbid topic and I didn’t arrive in Vietnam with the war on my mind, but my first stop in Ho Chi Minh City was the War Remnants Museum. I have never experienced such an impactful exhibition, which caused me to shed a few tears and it just happened to be Vietnam’s Independence Day on the day I went, September 2. Of course I already knew about the war (1961-1979). I learned about it at school and have seen a few films but it only dawned on me this week just how one-sided a view of the war I’d been served up. 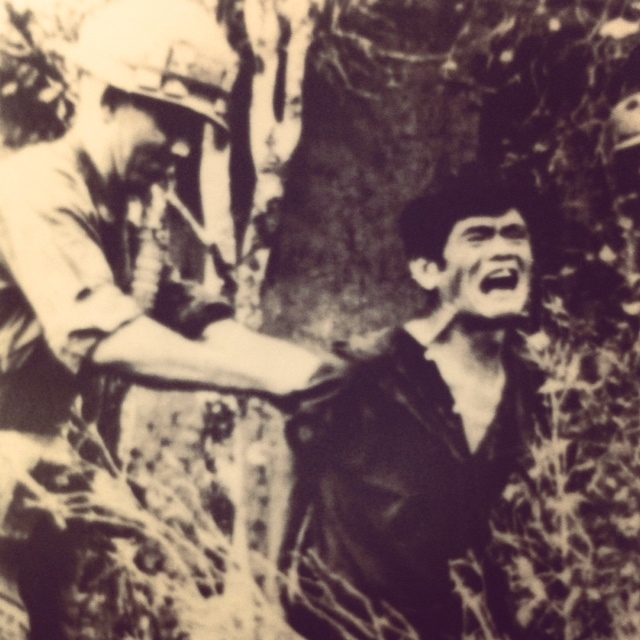 The War Museum also has strong biases but the masses of photos create pretty harsh evidence that it was a ridiculously cruel war with plenty of mindless torture – just for kicks. No wonder so many troops are suffering still in the aftermath. I guess this was my awakening to what war really entails and has made me question is there ever any need to take it to these extremes. The American Declaration of Independence leads the images. In case you’re not familiar: “We hold these truths to be self-evident, that all men are created equal, that they are endowed by their Creator with certain unalienable rights, that among these are Life, Liberty and the pursuit of Happiness”. I learned about the Agent Orange attacks (44 million litres of it dropped & 72 million litres of toxic chemicals dropped overall in Vietnam) through photographs which left thousands disfigured, dead and brain damaged. I saw the stillborn foetuses in a glass tank and read just how very real the war still is to so many who have had to rebuild their lives in the wake of this tragedy. 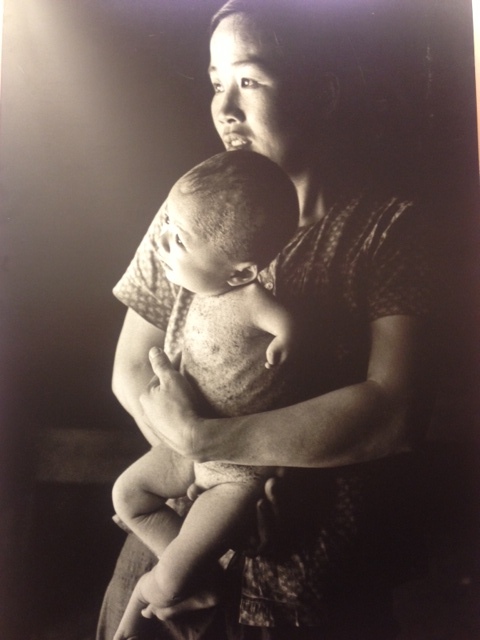 The Requiem photography exhibition is a particularly powerful collection of the war’s photography, with over 100 photographers of all nationalities (mostly Vietnamese) losing their lives. 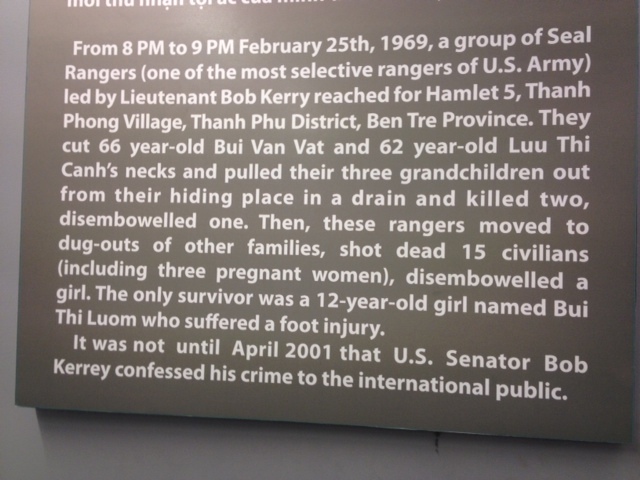 I’m sure if I visited an American exhibition on the same war I’d view it from a very different perspective but this gave me such a strong insight into just how high emotions run in Vietnam and I applaud the streams of American tourists who visit as it makes painful viewing. This wall mounted sign speaks volumes about just how raw it still is for many: “The war ended, but many people still do not enjoy happiness. In Vietnam, 23 years has passed since the war stopped, but countless people have been suffering from agent orange, physical and mental wounds, missing people, orphans… and a lot more…”.